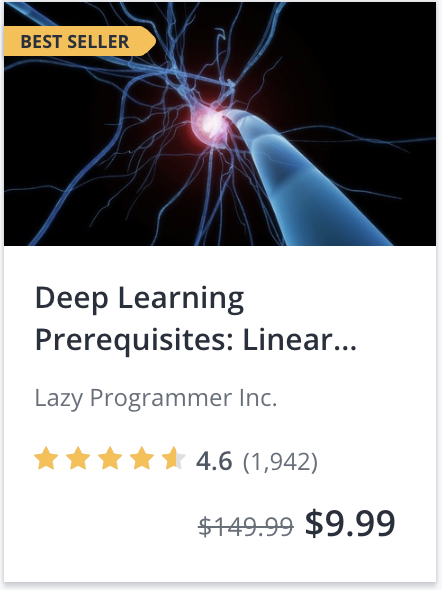 Black Friday 2018 – Udemy’s BIGGEST Sale of the YEAR is back! 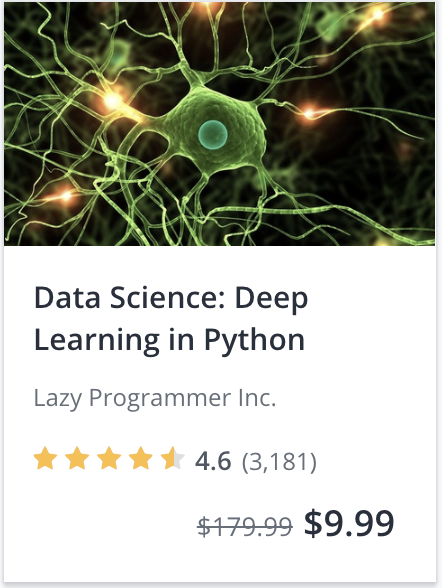 Udemy’s BIGGEST Sale of the YEAR is back! 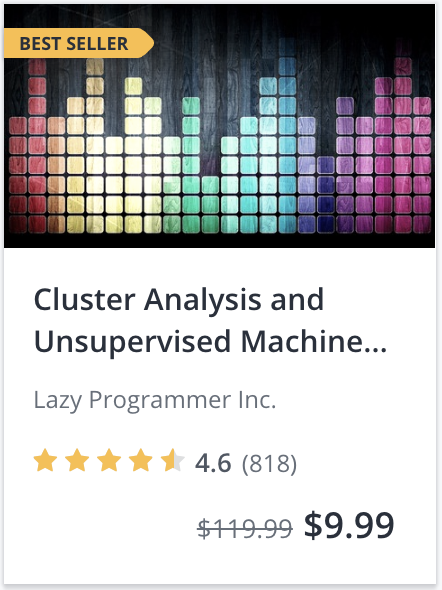 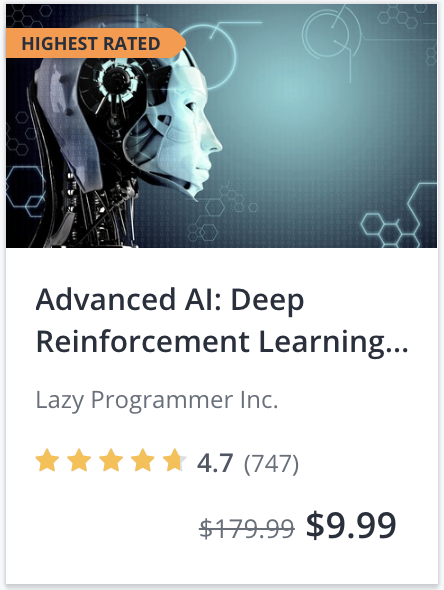 For the next 7 days, ALL courses on Udemy (not just mine) are available for just $9.99! 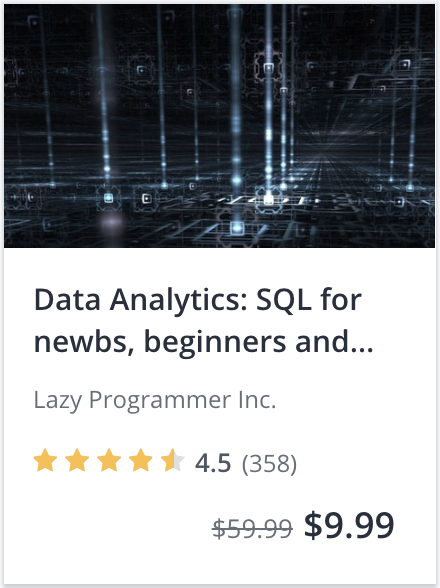 For my courses, please use the coupons below (included in the links below), or if you want, enter the coupon code: NOV2018. 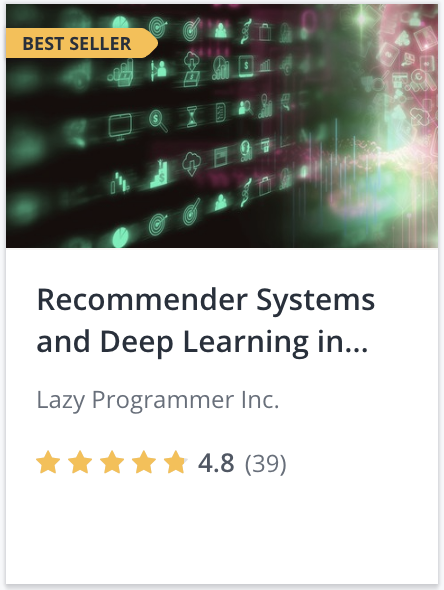 For prerequisite courses (math, stats, Python programming) and all other courses (yoga, guitar, photography, whatever else you want to learn), follow the links at the bottom. 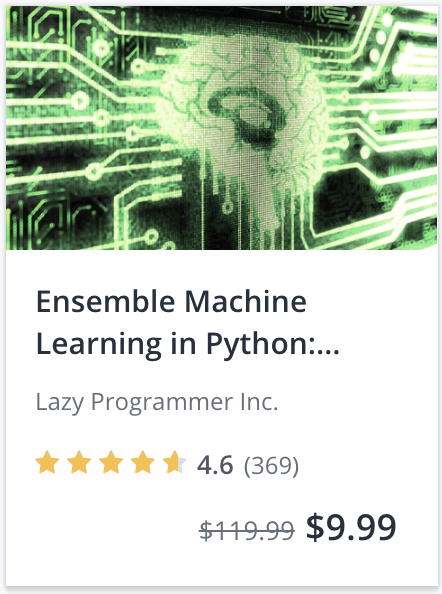 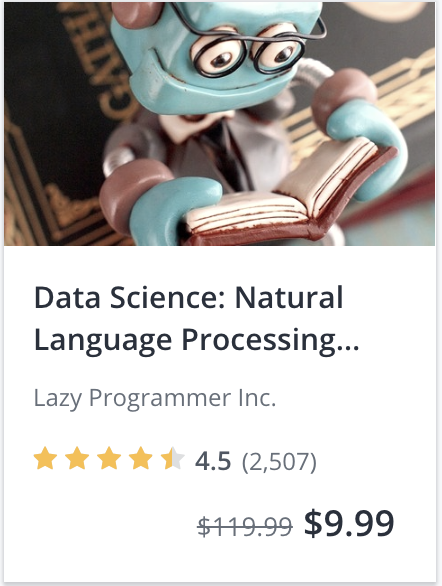 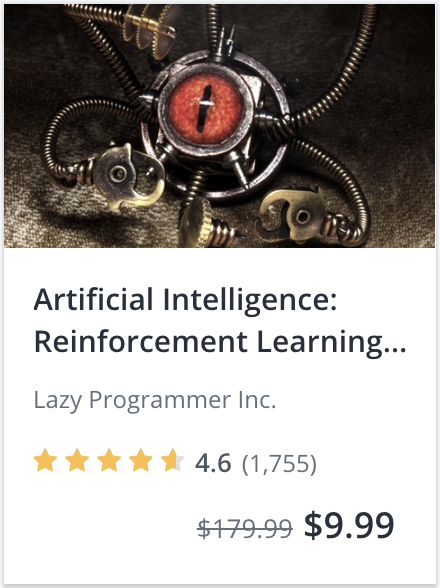 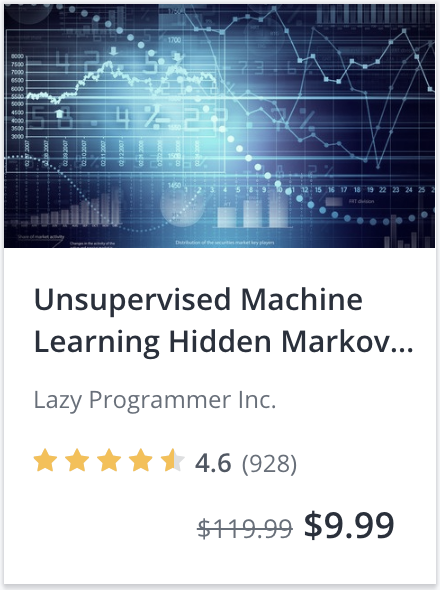 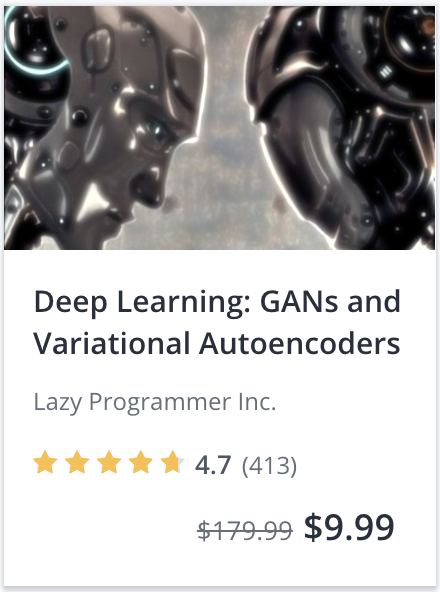 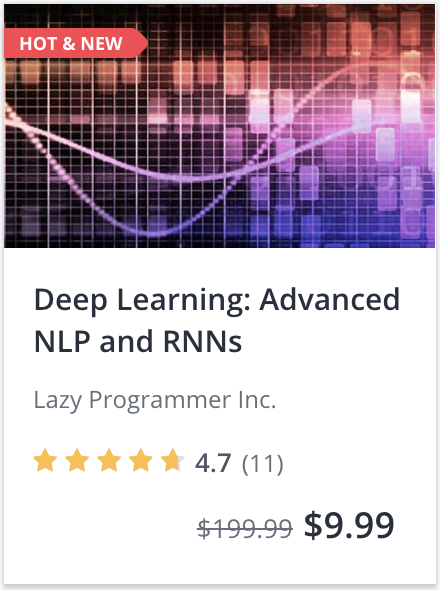 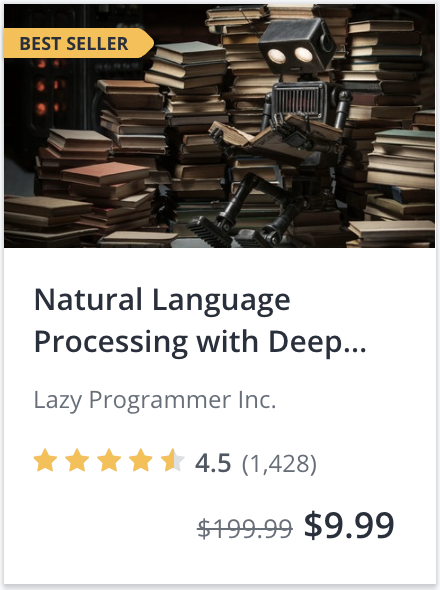 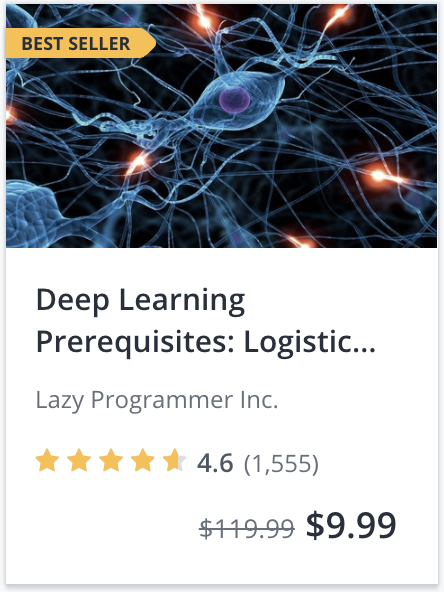 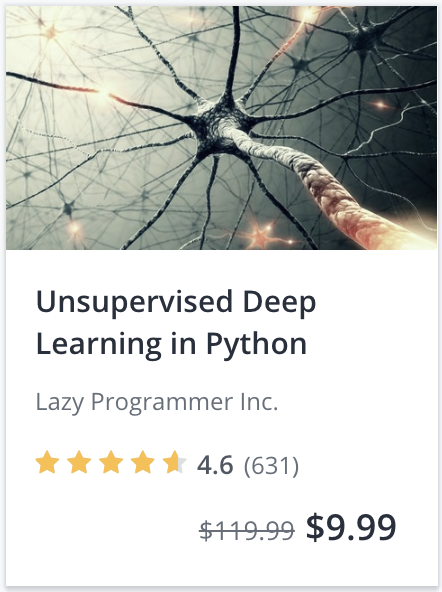 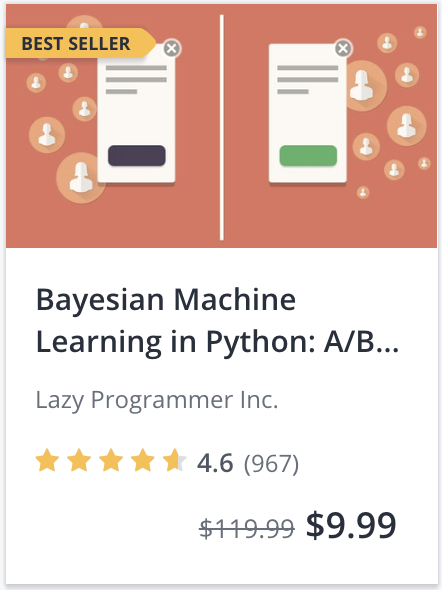 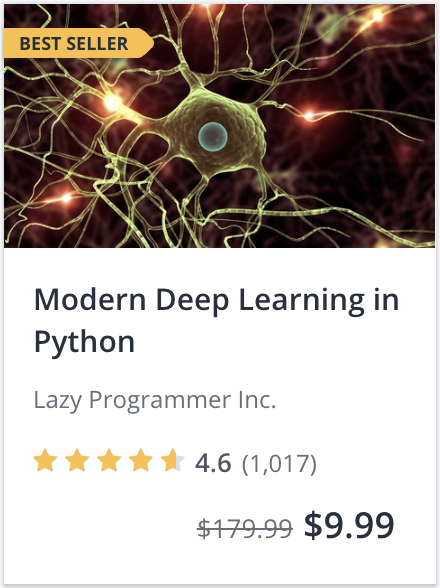 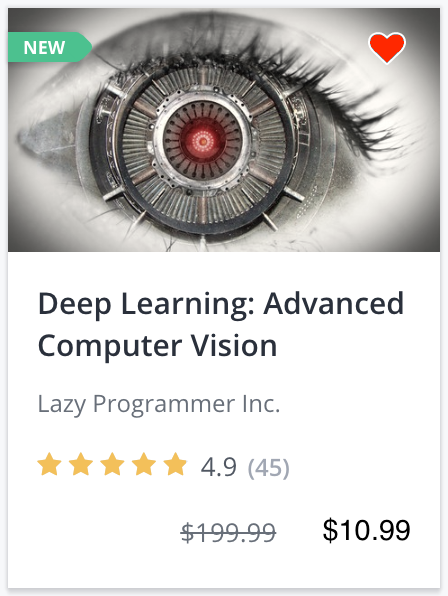 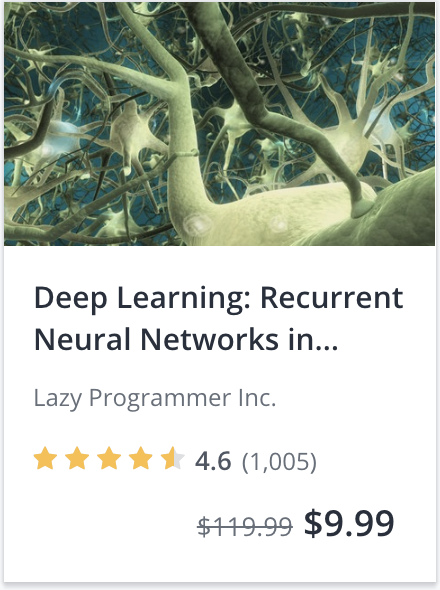 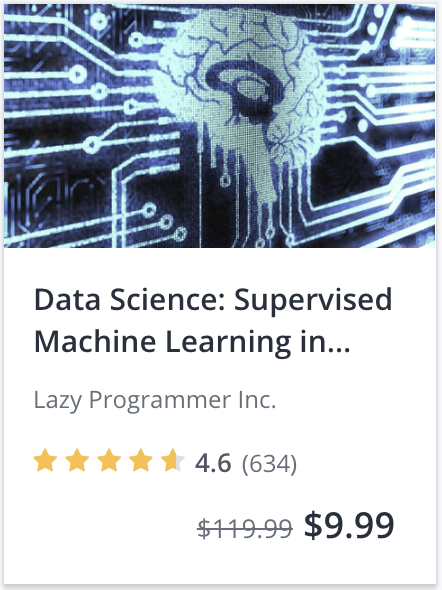 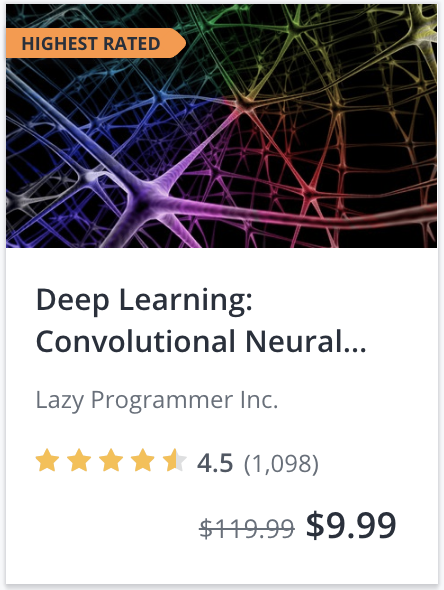 Since ALL courses on Udemy are on sale, if you want any course not listed here, just click the general (site-wide) link, and search for courses from that page.